Everyone’s favourite Wagamama’s meal is katsu curry and I’m ashamed to say that I’ve never even tried it! 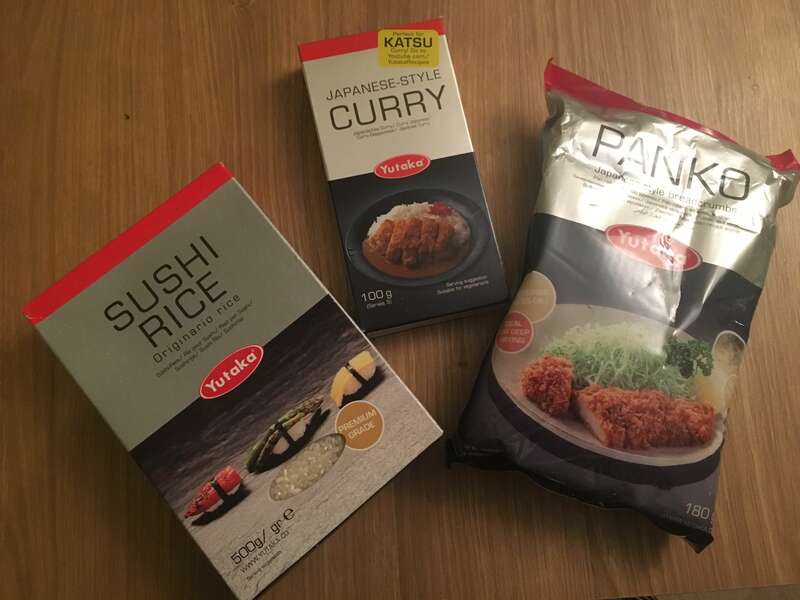 That’s why I was really pleased to receive some ingredients from Yutaka with everything I needed to create my very own homemade katsu curry. Anyone who knows me knows that I’m not a cook at all (understatement of the century) and so, after work last Monday, my boyf and I headed to the kitchen to make a Yutaka Katsu Curry. 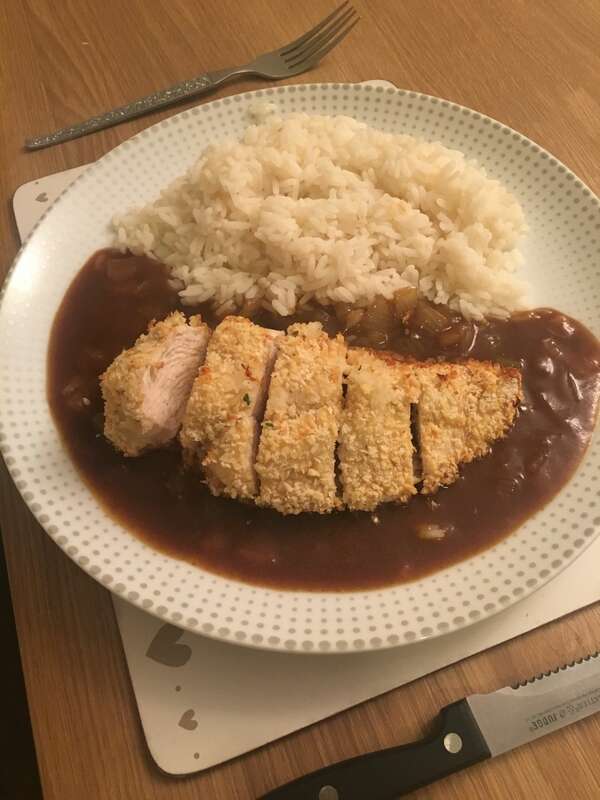 There are two parts to this recipe – the chicken katsu and the sauce – and there are two ways to cook the chicken – deep fry or oven cook. I decided to go for oven cooked. To be honest, it was SUPER EASY compared to a lot of other recipes I’ve tried and quite quick, the curry was really tasty and I would definitely make it again. Get some more Japanese recipes here. I’ve been simmering thos sauce for 20 minuets and it still hasn’t thickened. It’s still like water. It’s supposed to be quite a thin consistency but a good simmer should thicken it up a little!